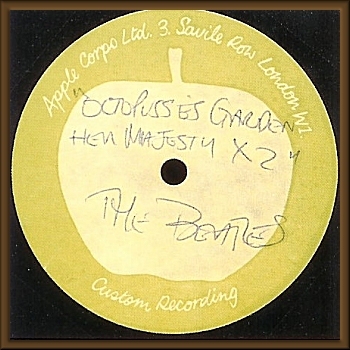 According to Lewisohn, there were two complete takes of "Her Majesty". It seems likely that the two tracks found on this disc are those two take. This lends hope that an alternate take of the song will surface someday. The following two items are irrelavant here but I've chosen to include them. They originate from Ringo's overdub sessions for a television broadcast.